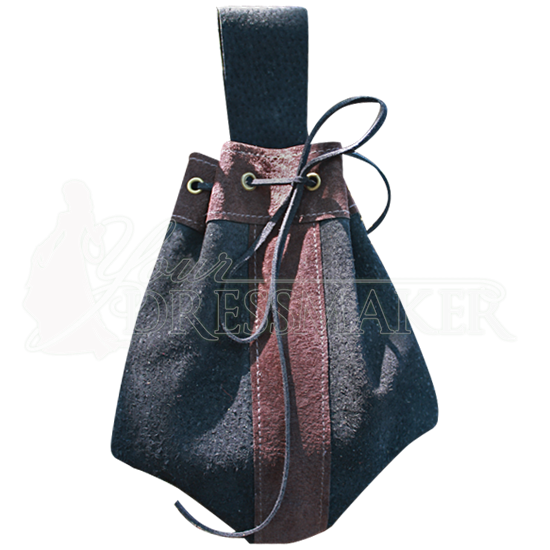 Made out of a lightweight leather, the Suede Belt Pouch keeps your reenactment essentials secure with its drawstring closure. The handmade construction features a wide loop on the back of the bag, making it easy to wear on most belts. Black suede makes up the body and belt loop of the bag while a strip of brown suede vertically embellishes the side. 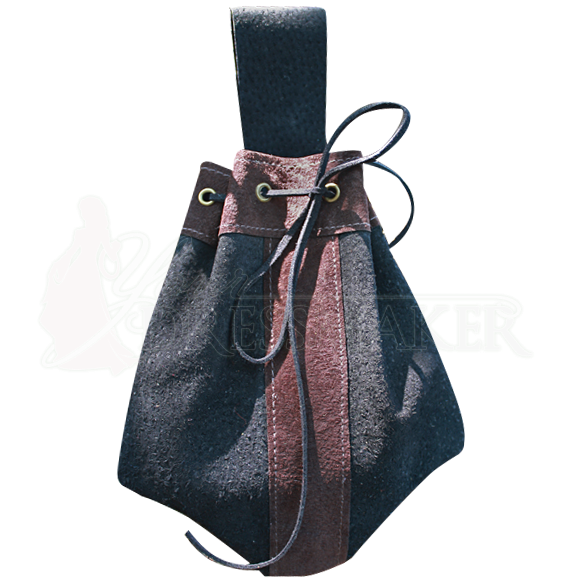 The drawstring itself is made of leather and threaded through metallic grommets on a brown suede panel, giving this medieval belt bag a versatile historic look that will serve you well at LARP events, Renaissance festivals, and more. Keep your small items safe and nearby with the Suede Belt Pouch.